I love simple no-sew clothes. 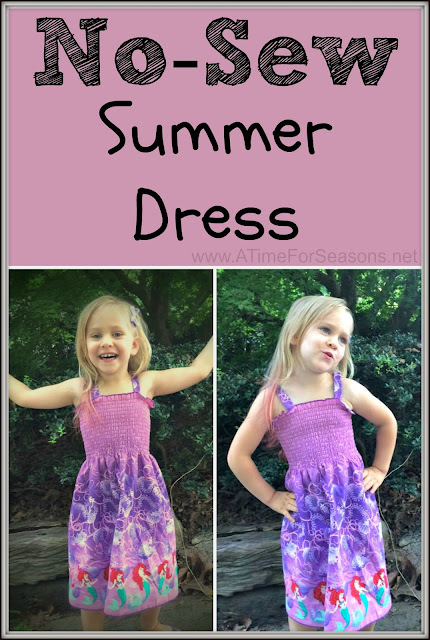 This dress is easy, quick and perfect for summer. 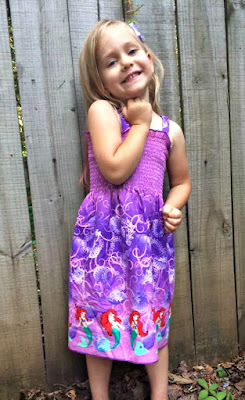 Using pre-smocked material I'll show you just how easy this no-sew dress is to make. 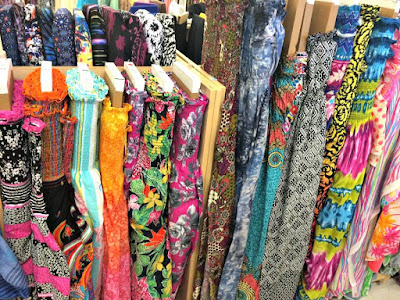 I don't mind sewing, but we don't have a designated craft/sewing room and sometimes I just don't feel like dragging the sewing machine out and taking over the dining room table. 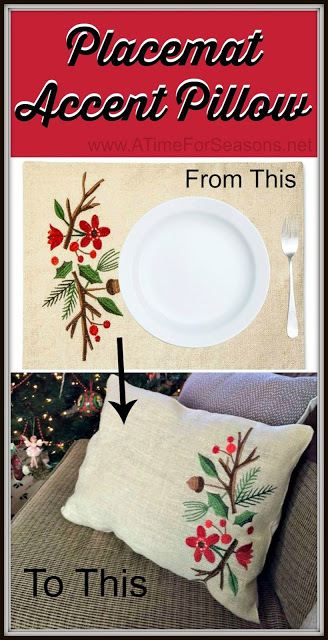 So whenever I can do an easy no-sew project, I jump at the chance. 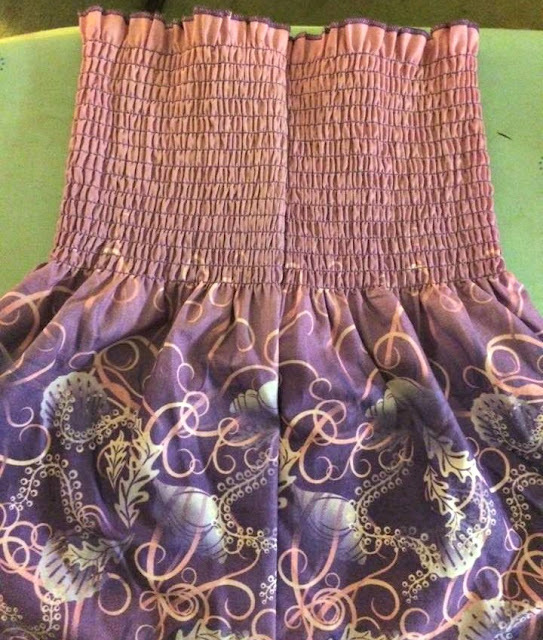 While searching for material for a Perry the Platypus tail, I came across some really cute pre-smocked material in Little Lady's favorite color: Purple. I just knew she needed a new summer dress! 3. Put the other edge on top so that you have the printed sides facing each other. 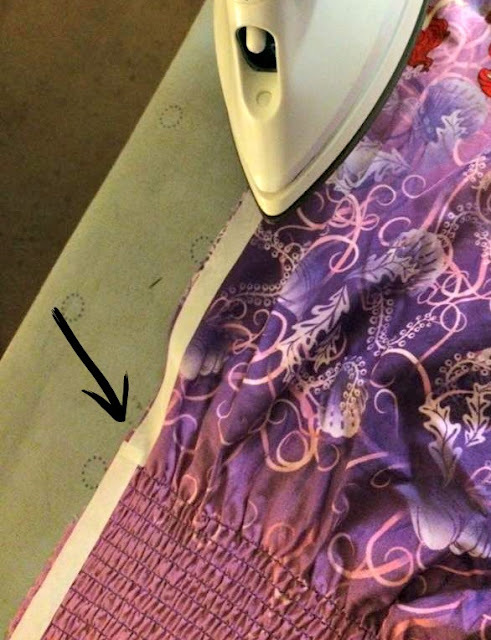 Pin in place to make it easier to iron. 4. Iron together according to the bonding manufacture's instructions. LET IT COOL! Then, turn right side out. Some bondings will not hold until they are cool. 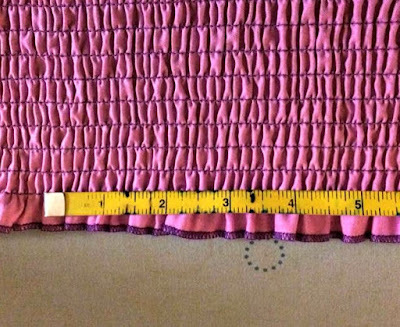 The pre-smocked material can easily pull it apart if you don't let it fully cool. So make sure you let it cool. 5. Using the leftover material, cut two strips out of the flat section that are about 3" wide each. 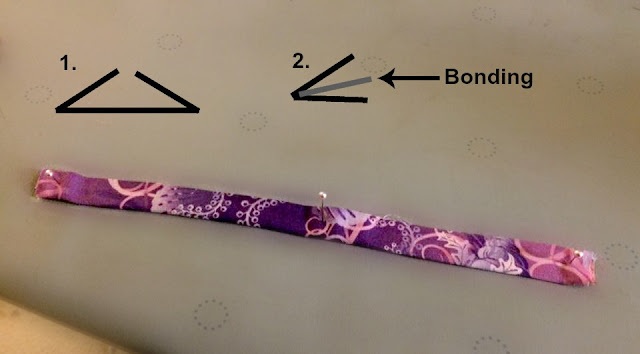 If you want thinner or thicker straps you can adjust accordingly. Since this material had Arial around the bottom, I opted to cut her off and use only the printed area. That little bit of red hair will be hidden once all done. 6. 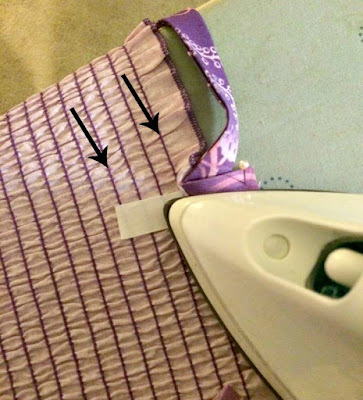 Fold your strips like shown in #1 above. Then fold them in half again with a strip of bonding in the middle so that all the raw edges are inside. 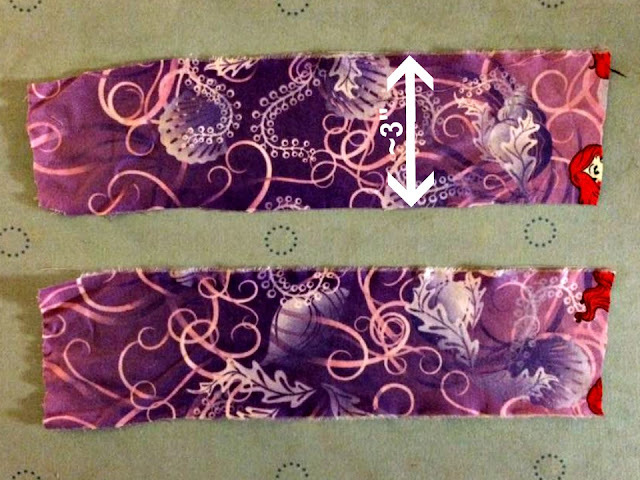 Your finished 3" strip will make ~ 3/4" strap. 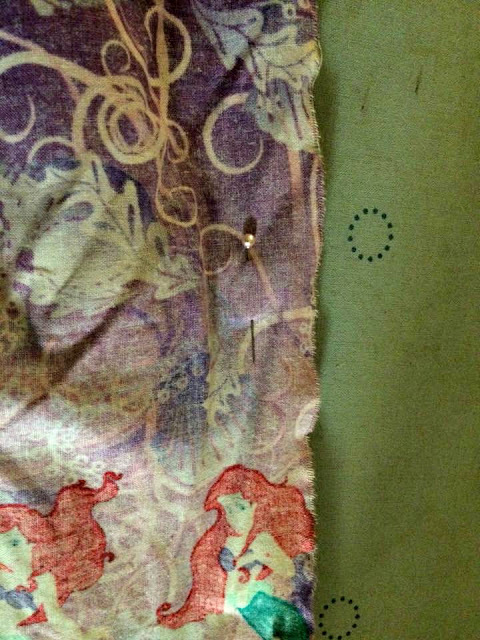 I used pins again to hold everything in place while I ironed them. 7. 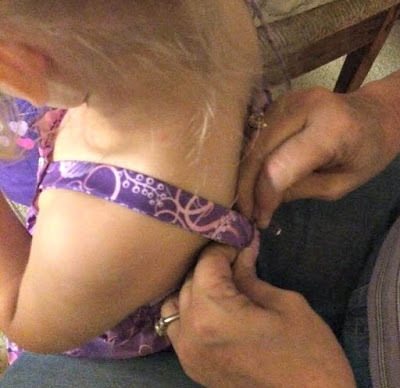 Have your model try on the body of the dress and line the seam up in the center of their back. Attach the straps where you want them with pins. 8. 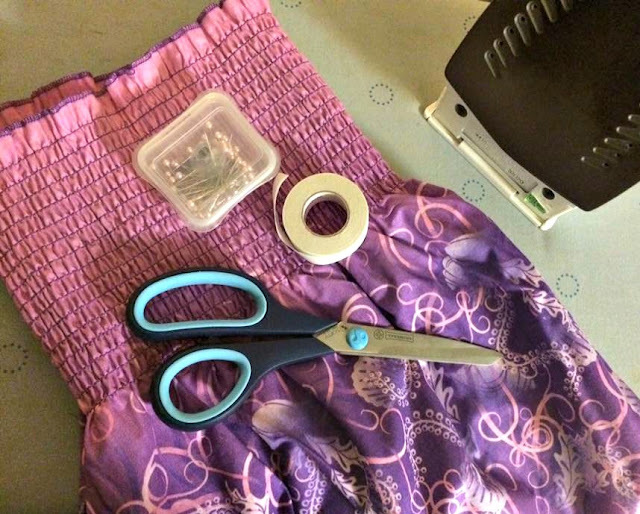 Use the bonding to attach the straps. I only attached them between the top and 4th row of pre-smocking. 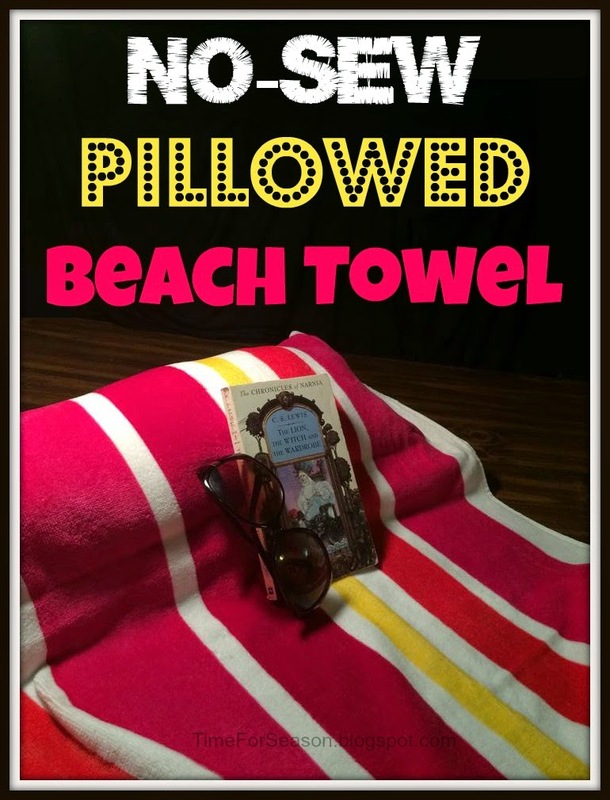 This left the frilly ruffle at the top loose and flowy. Make sure you let each strap fully cool before placing any stress on them. 9. Enjoy your new no-sew dress!! Be sure to follow the bonding materials washing instructions. 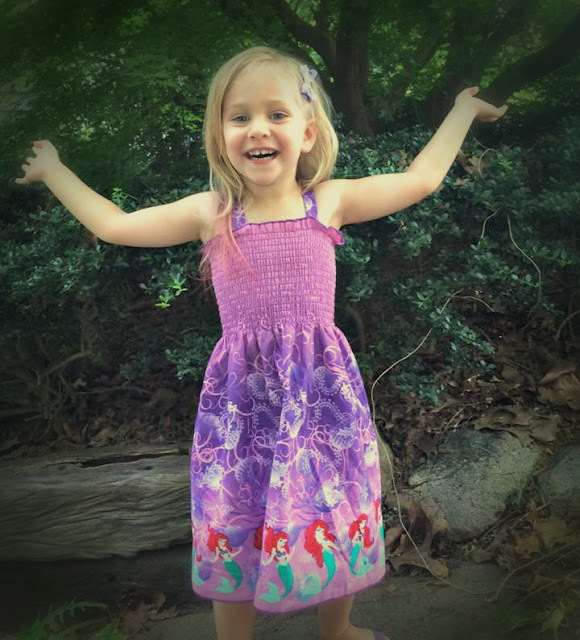 Little Lady absolutely loves her new dress and I was able to make it in a couple of hours (probably would have been less if I weren't taking pics ;) ). 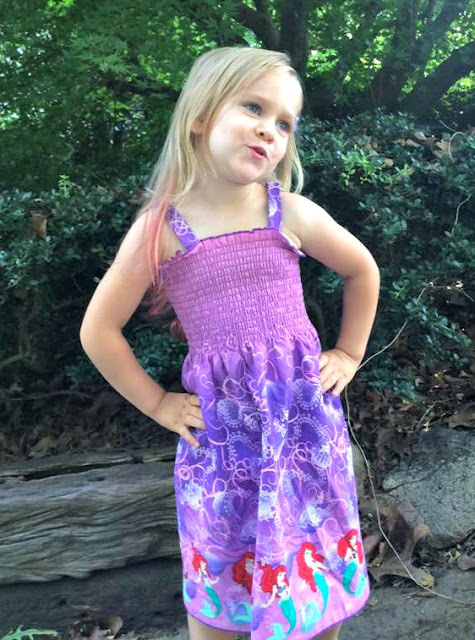 With all the choices of pre-smocked fabrics, this can be used for toddler and kids dresses, teen and adult dresses, you could even make a cute smocked top too. Just pick the right length and go to town!